“In the areas surrounding the Mediterranean Sea, people have not been living alone. For thousands of years, they have been living together with a different kind of population, a population that constantly grows and expands over the plains, the slopes and the mountains of the hinterland of the Mediterranean countries. This is the population of the olive trees,” as we learn from the back cover of a new book, On the Olive Routes by Nikos Michelakis, Angela Malmou, Anaya Sarpaki, and George Fragiadakis. 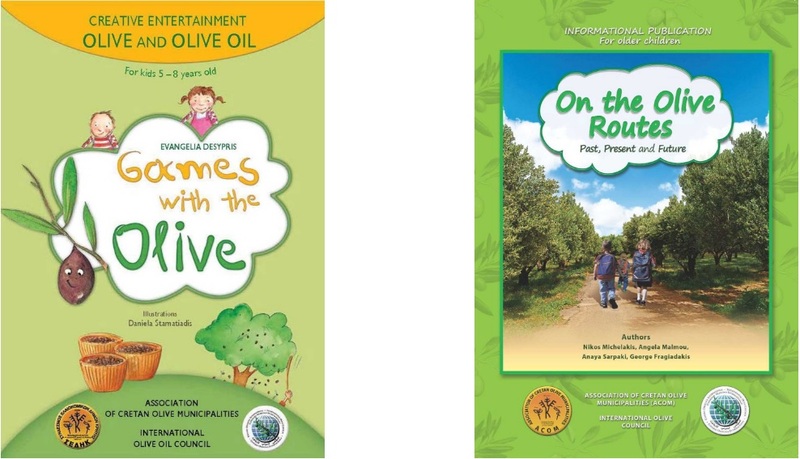 Above there is a series of educational games and digital books created under the Project of Raising Youth Awareness for Olive and Olive Oil from Association of Cretan Olive Municipalities in cooperation with the International Olive Council (http://www.olivegames.gr/). This entry was posted in Cultivation, History and tagged chalkidiki, crete, Education, Greece, halkidiki, Olive Oil, olives. Bookmark the permalink.